New Zealand’s SMEs are now showing the highest growth in more than half a decade, capping a remarkable turnaround in the last five years. The Five Year MYOB Business Monitor Report, which canvases the biannual national survey of over 1000 small and medium sized business operators over the five years from July 2009, illustrates how far businesses have come since the Global Financial Crisis. In the latest Business Monitor survey, released in September, almost twice as many businesses report revenue growth as losses – more than reversing the trend seen in mid 2009. 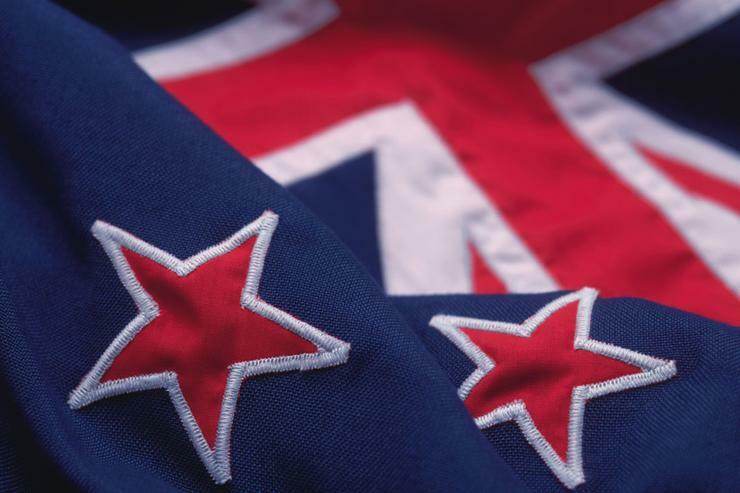 “New Zealand’s SME sector has been on a steady climb back to growth since 2009,” he says. The last five years have also seen an unprecedented change in the use of technology by SMEs, according to the report. In particular, the proportion of businesses with an online presence – either a website, social media site, or both – has grown from 27% in 2010 to 43% in 2014. The growth of social media for business has been particularly marked, with 25% of local businesses now operating a social media site and 42% using the platform for business. Over half of all local businesses (52%) now accept online payments and 39% use tablets in the workplace. “It’s hard not to see a connection between the adoption of internet services and products and at least some of the growth New Zealand businesses have enjoyed over the last five years,” Reed adds. “We know from the survey that businesses with an online presence not only enjoy better customer relationships and convert more inquiries, they are typically up to 30% more likely to earn more. Overall, Reed, New Zealand’s SME community can be justifiably proud of everything they have achieved in the last five years. “I don’t think anybody would characterise the post GFC period as an easy time,” he adds. “And even with the significant economic benefits of the Christchurch rebuild, the Auckland housing boom and record commodity prices, a lot of the macro economic factors won’t have had an immediate or direct effect on many SMEs. Reed says despite the country performing well in the post GFC period, Australia’s small business sector has not enjoyed the same level of performance as New Zealand companies have seen. “New Zealand’s SMEs have really shown how it’s done, in terms of building growth and making the most of their resources in often challenging circumstances,” he adds. The proportion of small businesses in Australia reporting falling revenue reached 41% in May 2012, before reducing to 31% in the latest Business Monitor, the lowest level in five years. Other than the rising cost of fuel, which has remained constant over the five years of the report, key pressures for SMEs have been generally declining since June 2009. The number of businesses reporting cashflow pressures has fallen from 24% in 2009 to 19% in 2014, profitability pressure has reduced from 21% to 17% and pressure from competition is down from 19% to 17%. The notable exception has been interest rates, which have been seen as an increasing risk to business as rate rises begin to bite. In June 2009, just 14% of businesses saw interest rates as a pressure, while 21% factor them as such in the latest 2014 Business Monitor. “In fact, slightly fewer businesses are intending to hire more full time or part time employees in the next year than were in 2009,” Reed adds. “The number of businesses overall that are employing has steadily decreased over the last five years. The five-year survey also examined the levels of satisfaction SME operators have with the support of the Government. Other than the period immediately after the Canterbury earthquakes, when support for the Government spiked, 2014 is the first year satisfaction with National’s performance has outweighed dissatisfaction.